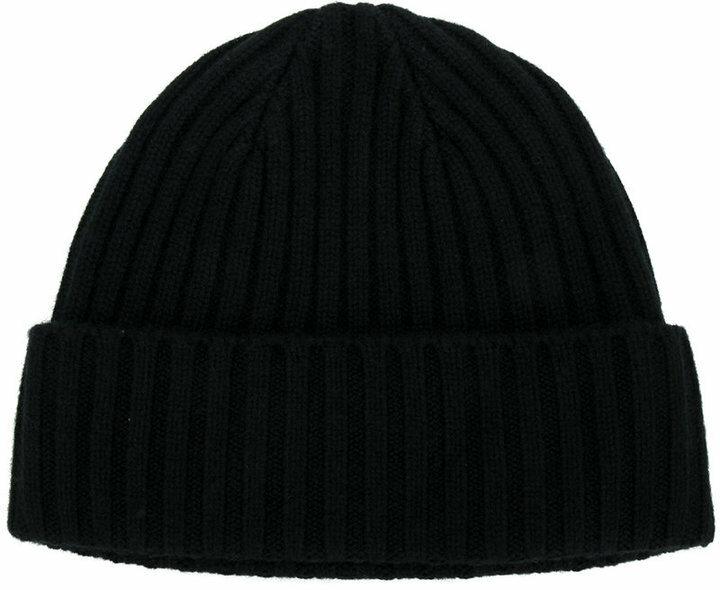 We all seek comfort when it comes to dressing up, and this combination of a charcoal overcoat and a N.Peal chunky ribbed knit beanie hat from farfetch.com is a perfect example of that. 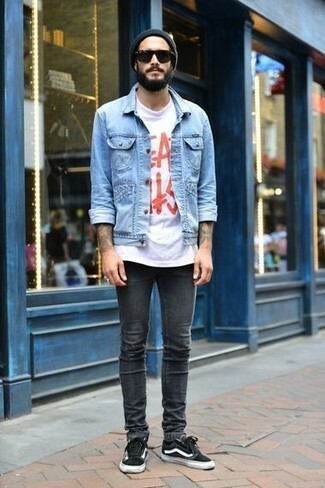 White leather low top sneakers work wonderfully well with this look. 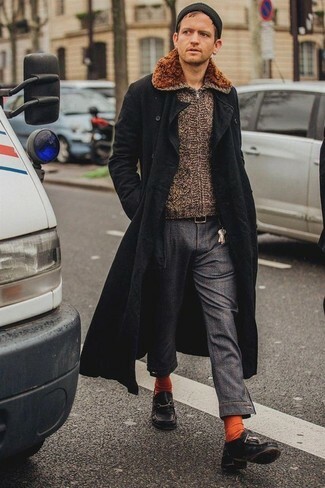 Wear a navy trenchcoat with a N.Peal chunky ribbed knit beanie hat if you're hunting for an outfit idea for when you want to look casually cool. Go for a pair of black leather derby shoes to show your sartorial savvy. We're all seeking comfort when it comes to dressing up, and this combination of a light blue denim jacket and a N.Peal chunky ribbed knit beanie hat from farfetch.com is a practical example of that. Spruce up this getup with black low top sneakers. If you're after a casual yet dapper getup, consider wearing a grey wool waistcoat and a N.Peal chunky ribbed knit beanie hat. Both pieces are totally comfortable and will look great paired together. To add more class to your getup, finish off with dark purple leather casual boots. If you prefer practicality dressing when it comes to fashion, you'll love this on-trend pairing of a grey overcoat and a N.Peal chunky ribbed knit beanie hat. 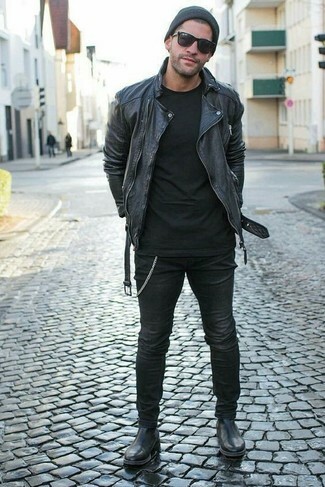 We're all seeking comfort when it comes to dressing up, and this combination of a black leather biker jacket and a N.Peal chunky ribbed knit beanie hat is a practical illustration of that. To add elegance to your look, finish off with black leather chelsea boots. This pairing of a charcoal plaid suit and a black beanie is effortless, seriously stylish and super easy to copy. You could perhaps get a little creative when it comes to footwear and elevate your outfit with black leather casual boots. 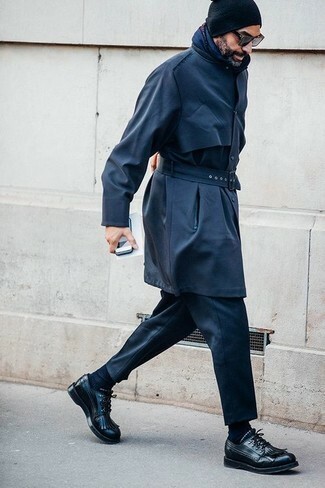 We're all seeking comfort when it comes to dressing up, and this combination of a black overcoat and a black beanie is a practical illustration of that. 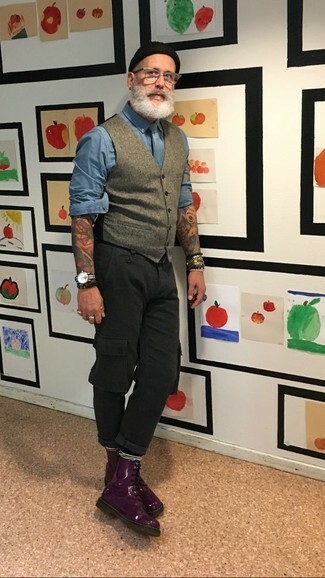 A pair of black leather boat shoes adds some real flair to this look. 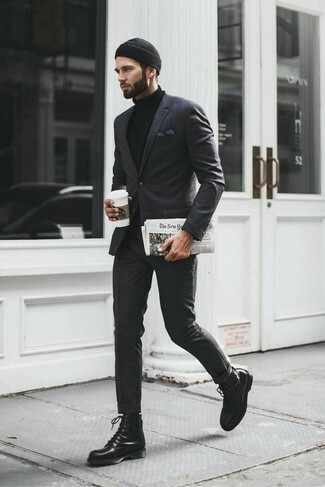 We all getup for comfort when it comes to dressing up, and this combination of a black blazer and a N.Peal chunky ribbed knit beanie hat is a wonderful example of that. Channel your inner Ryan Gosling and grab a pair of dark brown leather casual boots to class up your getup.